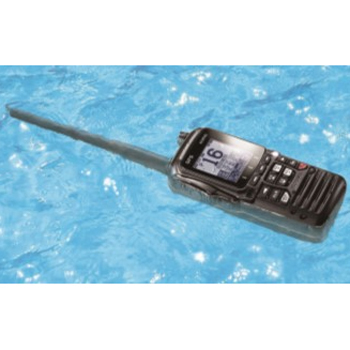 Handheld VHF with GPS and FM Radio Receiver! 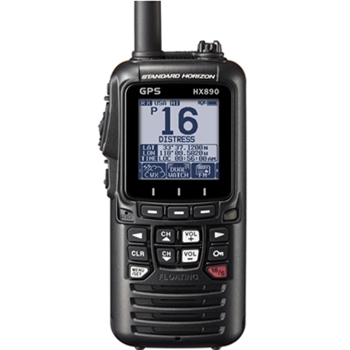 The Standard Horizon HX890 with GPS is a perfect primary communication device for your near shore or inshore vessel or as a backup for your cruising or offshore vessel. The HX890 sets itself apart from other handheld VHF radios with features never before seen in a handheld VHF radio. First and foremost the HX 890 is built in Military Standard MIL-STD-810F which means it can take a beating and keep working. Also built-in to the HX890 are two scrambler systems, a 4-code and 32-code, in case you want your conversation to remain private. Another feature is the built-in FM broadcast radio receiver. With this feature you can catch some tunes or news when radio communication is not necessary. The HX890 covers all of the regular VHF operations and more. Choose from 6W, 2W or 1W output power depending on your location and situation. Regardless of the power output you choose, the 890 will send and receive clearly thanks to its 700mW loud audio speaker and Noise Cancelling Function. Clearly listen to NOAA weather channels and get weather alerts. If the 890 goes overboard you don’t have to panic. Not only is it waterproof and submersible but it floats and has a water activated strobe light. The included 1800mAh high capacity li-ion battery will provide up to 11 hours operating time. And speaking of operating, the HX890 is very easy to use thanks in part to its 1.7” x 1.7” display. You can choose from Day or Night mode and the keys are also lit for nighttime use. The HX890 also has dedicated buttons for channel up and down as well as volume up and down making it very easy to use. The Internal 66 channel WAAS GPS receiver in the HX890 gives you another reason to feel safe on the water. If you ever have to transmit an emergency call, use the dedicated distress button the back of the unit and it will transmit a DSC call with your Latitude and Longitude included. Another nice backup feature is the ability to navigate routes and waypoints. If your primary chartplotter goes down, use the HX890 to navigate back to port safely. The Standard Horizon SBT-13 Alkaline Battery Tray allows you to use AAA batteries in your HX870 and HX890 VHF Radio. Standard Horizon Lithium-Ion Battery for HX870 and HX890.